In September, the Adrianna Papell For E! Live From The Red Carpet launched a nationwide call-to-action, and invited designers to submit red carpet looks for the Spring 2012 collection. After a rigorous nomination process, the votes have been tallied. The Adrianna Papell Group along with E! Entertainment are thrilled to announce the winner of the first-ever “Adrianna Papell For E! Live From The Red Carpet Design Contest”--Natalie Palter. 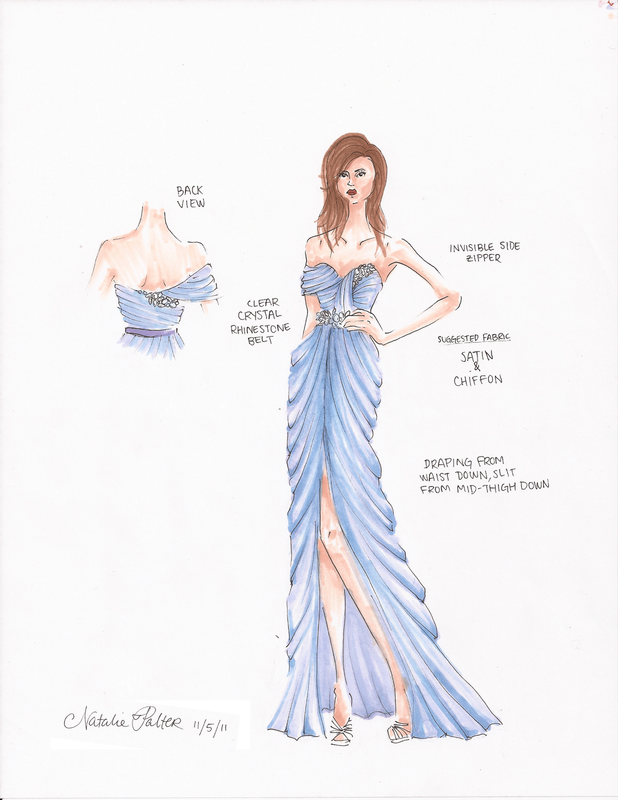 Natalie's winning design was unveiled to millions of viewers nationwide on E! 's Academy Awards Pre-Show. Her dress was chosen amongst 700 design submissions. A freshman fashion design student at Marist College in New York, Natalie noted “I have been designing ever since I could hold a crayon. I wanted to design a dress that would not only flatter any woman's body, but also make her feel like red carpet royalty.” Inspired by Grecian goddesses, the gorgeous blue gown delicately drapes the female form, while crystal baguettes accent the décolletage and natural waist. The First Runner-Up, Genovena Christoff will receive a $1,000.00 cash prize, and the Second Runner-Up, Jamie McClure will receive a $500.00 cash prize. Additional information on Adrianna Papell can be found on the brand's Facebook page, and website, adriannapapell.com. The entire Adrianna Papell for E! Live from the Red Carpet line can be found on E! Online.